Hi there! 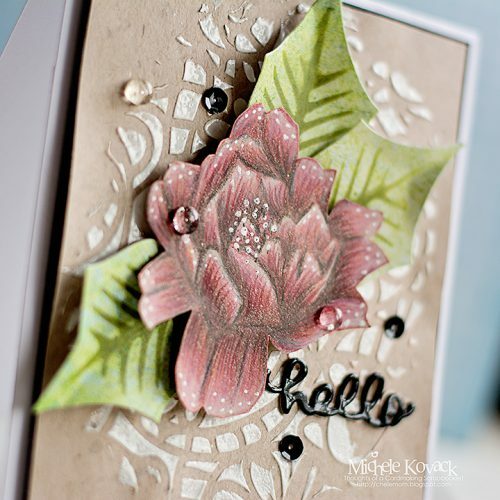 Michele here with a Hello Rose card tutorial using Crafty Foam Tape, a single large stamp, and texture paste. Crafty Foam Tape is one of my favorite adhesives from Scrapbook Adhesives by 3L®! First, I stamped the large rose and colored it with colored pencils. Then I die-cut the rose and leaves and set them aside. 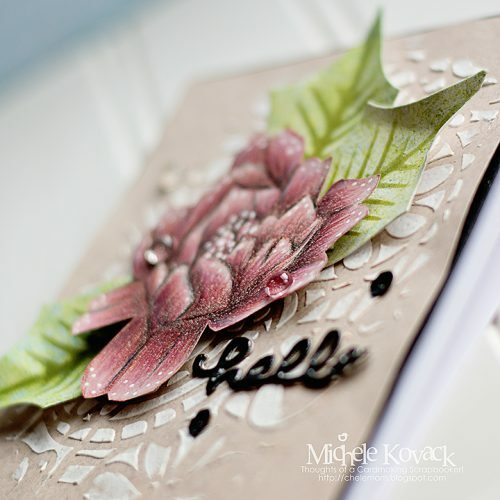 The background was made with a stencil and texture paste on kraft paper. Once it was dry, I layered it over a piece of black card stock using Crafty Foam Tape. I then adhered it to the card using E-Z Squares®. 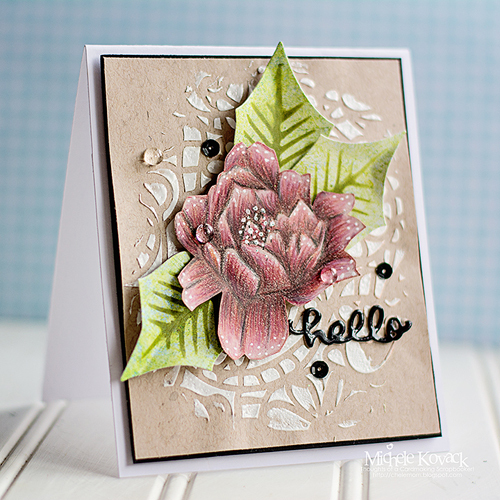 Use more Crafty Foam Tape to secure the flower on top of the stenciled background. This adds dimension to the flower. I die cut the word “hello” and adhered it and the sequins using Dodz Adhesive Dots Mini. This entry was posted in Adhesive Dots & Lines, Adhesives, Cards, Crafts & Tutorials, Crafty Foam Tape, E-Z Runner® Dispensers, Spring, Summer and tagged Adhesive Dots Mini, Altenew, Card, Card Making, Crafty Foam Tape White, Die Cut, E-Z Squares, E-Z Squares Refill, E-Z Squares Refillable, Flower, Hello, Michele Kovack, Stencil. Bookmark the permalink.